Drug abuse and dependence define behavioral states involving increased allocation of behavior towards drug seeking and taking at the expense of more appropriate behavioral patterns. As such, addiction can be viewed as increased control of behavior by the desired drug (due to its unconditioned, rewarding properties). It is also clear that drug-associated (conditioned) stimuli acquire heightened abilities to control behaviors. These phenomena have been linked with dopamine function within the ventral striatum and amygdala and have been described specifically in terms of motivational and incentive learning processes. New data are emerging that suggest that regions of the frontal cortex involved in inhibitory response control are directly affected by long-term exposure to drugs of abuse. 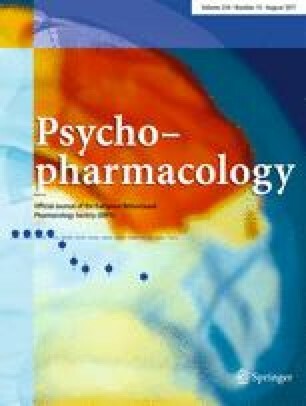 The result of chronic drug use may be frontal cortical cognitive dysfunction, resulting in an inability to inhibit inappropriate unconditioned or conditioned responses elicited by drugs, by related stimuli or by internal drive states. Drug-seeking behavior may thus be due to two related phenomena: (1) augmented incentive motivational qualities of the drug and associated stimuli (due to limbic/amygdalar dysfunction) and (2) impaired inhibitory control (due to frontal cortical dysfunction). In this review, we consider the neuro-anatomical and neurochemical substrates subserving inhibitory control and motivational processes in the rodent and primate brain and their putative impact on drug seeking. The evidence for cognitive impulsivity in drug abuse associated with dysfunction of the frontostriatal system will be discussed, and an integrative hypothesis for compulsive reward-seeking in drug abuse will be presented.